Hockey is a game of toughness. 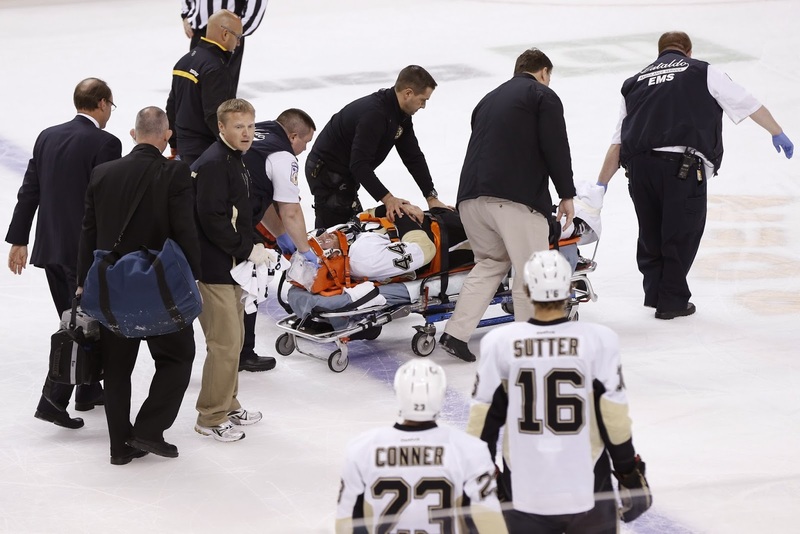 Most people would consider hockey players as some of the strongest and toughest athletes in the world. Their schedules are rigorous and the physical aspect of their game is unparalleled. No one doubts this, and left and right people argue about whether or not fighting should be banned from the game. Josh Yohe, Pittsburgh Penguins' beat-writer for the Trib, pointed out that Brooks Orpik was the only one of fifteen Penguins that said yes to the question of banning fighting. In 2004 Todd Bertuzzi grabbed Steve Moore (who had fought Matt Cooke earlier in the game already) by the jersey and punched him in the back of the head after Bertuzzi failed to draw Moore into a fight. Sound familiar? These situations exist; they are rare but they exist. Both Bertuzzi and Thornton continued to hit their unconscious opponents after failing to coerce them into fights. In the end, Moore’s symptoms exceeded those of Orpik’s, but things like this cannot exist in the game of hockey. In Massachusetts, this act would be considered “assault and battery.” In order to prove this a few things must be considered “beyond a reasonable doubt.” These things include: That the person touched the victim without the right to do so (check), that the defendant intended to touch them (check), and finally, that the touching was either intended to cause bodily harm (check), or was done without consent (check). Translation: Shawn Thornton is a goon. A large difference exists between a “hockey fight” where the victim has the chance to defend themselves, and slew footing a player from behind and continuing to punch them after they lose consciousness. If you can’t differentiate the variance between those two, you either need your head examined… or you root for the Boston Bruins. From everything that we have heard and seen, it appears that Brooks Orpik suffered a grade three concussion (considered the worst of the three grades) which is identified by the loss of consciousness. The time table for any return to action is considered after all concussion symptoms subside, which could be any amount of time. No one is fully aware of the symptoms Orpik is having but grade three concussions carry the greatest threat of having both physical and cognitive long term effects. The line begins to blur at the idea of an "enforcer." What Shawn Thornton did was not “enforcing” anything. He didn’t “fight” Brooks Orpik. He lost his cool in a situation that could have been avoided. Orpik did nothing wrong in choosing not to fight and he did nothing wrong by making a hit that the refs deemed to be legal. Vigilante justice does not exist in real life. Sorry to break it to you. I do not support the notion that Orpik should press legal charges on Thornton. I do not see how it would help Orpik. The fact remains, though, that he could if he chose to, and he would be within his right to do so. He would also likely win. For the record, in Massachusetts “assault and battery” offers a maximum of two and a half years in jail. I highly doubt the police care if “Brooks Orpik should have fought back” or “Neal caused this.” The law is the law and if this occurred in the street Shawn Thornton would be facing a judge, not the NHL. Special thanks to Dr. Brent Shealer (@drbrentchiro) and Craig Chaney (@2chainyz) for the medical and legal help.